“For me mental illness, is at the centre of this tragedy. At some point in his life, my son had a serious addiction to drugs, I don’t know if he overcame it, but doing so much of it could have left permanent marks and led to his current mental state. His conversations were often strange. Was he crazy? I never could have imagined that he would do something like this, but he was not well either. I am writing to you because I read your message and believe what you said about looking for context. I am trying to provide that. I hope that you are not just one of those headline seeking journalists looking for the scoop, not that much interested in truly getting the facts and trying to get the true picture even if it is not as sensational. I hope you have the integrity I perceived in your message. I have been hounded by the media since the events took place and for me it is simpler to express myself in writing where I can try to be as accurate as possible, where I can edit and ensure that I am clearly expressing what I am trying to say. This will be my last statement. So don’t contact me further. The horror of what my son did does colour the issues. It is awful. At the front of my mind is the family of Mr. Cirillo. There is nothing I can do to repair the damage my son has done. I cannot express the sadness I feel. Their family is broken, a wife without a husband, children without their father. The unfairness of it. I don’t know Mrs Cirillo, If I can do anything? I don’t know what is appropriate in these circumstances. What do I feel, my side of the story I was asked. It is not simple. As a person and mother I am horriﬁed my the actions of my son, I am sickened by it. I will never understand what drives a person to such senseless violence. As a mother I am sad, but that is not the emotion that is current driving me, mourning my son is deep within me, I am not ready to go there. I feel mad at my son for what he did, I feel shame for what my son did, yes as someone wrote to me I must have been a bad mother, you can never express it as deeply as I feel it at this time. There will always be guilt. Emotions are complicated, never in a single dimension. What about Michael, if I try to understand his actions, for me he was an unhappy person at odds with the world. In his ﬁnal days, I would add mentally unbalanced. Religion and islam what his way of trying to make sense of the world, I don’t think he succeeded. It did not bring him peace. My son did not want to have much to do with me or my husband. When he left for Vancouver 5 years ago, we had no contact till this year when he wrote a short e-mail to say he was well and he was only writing because his religion dictated to him to be good to his parents, it was his duty. I read about the incident in the mosque in Vancouver. I am not sure if it is accurate or not, but if they did turn him away I am sad that it is so, for that is what religion should be about, helping people in trouble, providing emotional support, not turning people away because it is ugly and complicated. As mentioned my son wanted to have little to do with me, he was troubled and spoke of religion, and religion is not a subject I can easily relate with. So our conversations were one sided where he would talk about religion and I would listen. What did he talk about at our ﬁnal lunch, he talked about religion, how it was good. How I was wrong to pursue the materiality of this world. He had come to Ottawa to try and get his passport. He ultimately wanted to go to Saudi Arabia and study Islam, study the Coran. He thought he would be happier in an islamic country where they would share his beliefs. He mentioned that he had applied more than one month ago and thought the difﬁculty in getting it was the name of the reference he had given. So he had come to Ottawa to try and convince them to give him one. He said that the «shaytan » was testing him. This was not new, he often spoke of the devil and his attempts to entice people to him. 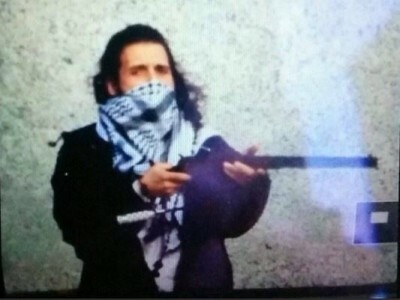 I want to correct the statement of the RCMP I never said he wanted to go to Syria, I speciﬁcally said Saudi Arabia. They taped my conversation so there can little doubt about the accuracy of what I said. I did phone the agent to point the error, I don’t know it they corrected it. If I try to understand the motivations of my son, I believe his passport was refused and that pushed him into action. He felt cornered, unable to stay in the life he was in, unable to move on to the next one he wanted to go to. He was mad and felt trapped so the only way out was death. I believe he wanted death but wanted it not at his own hand because that would be wrong according to Islam. Maybe he also wanted to strike back at the government who had refused him, the fact that he killed a soldier and went to Parliament would indicate that, they are symbols of government. Regardless of the motivation, that was wrong and despicable. I am just trying to provide context, no justify his actions. My son used to spend hours playing those war video games, in looking at the event it reminded me of that except than now it was real life, people were real and got hurt. A young man lost his life, the enormity of his actions never leave my mind. Most will call my son a terrorist, I don’t believe he was part of an organization or acted on behalf of some grand ideology or for a political motive. I believe he acted in despair. I am not sure of the meaning of being radicalized. I doubt he watched much islamic propaganda, I doubt he wanted to go ﬁght in Syria. I know he believed the US government responsible for killing thousands of innocent Iraqi civilians, that he did say that. I believe his actions did create terror. He did mention having met once one of the persons mentioned in the media, person that I believe went to Syria to ﬁght, he also said that person would have left Canada with the passport of someone else. He had met him in the mosque. He mentioned having asked the Imam of the Mosque if he knew of this persons’ activities and the Imam would have said no. My son was not on the list of persons under supervision by CSIS, that further supports my belief of the last desperate act of a person not well in his mind, a person wanting to be killed. I will add that I am not unbiased in this so I may be wrong, I have not been following much of the information on the news, so there may be a lot I don’t know. For me mental illness, is at the centre of this tragedy. At some point in his life, my son had a serious addiction to drugs, I don’t know if he overcame it, but doing so much of it could have left permanent marks and led to his current mental state. His conversations were often strange. Was he crazy? I never could have imagined that he would do something like this, but he was not well either. He refused any of my help, he preferred staying in the homeless shelter rather than coming to my house. I will always be left with the question if I could have said something else, insisted more to help…. The emptiness and pain are overwhelming. In closing, I wish to apologize to everyone, I am deeply sorry and deeply saddened by the events. Violence never solves anything, however it seems ever present, so easily the response. I truly hope that in time Mrs Cirillo and her family will ﬁnd peace of mind, joy and further happiness.